Sometimes life doesn’t work out the way you expect it to. As a child you have hopes and dreams and an expectation that everything will work out as it does in the stories you were brought up with. But all too often by the time you reach adulthood you realize dreams are all they were and your friendships that were supposed to last forever have faded. It’s not often this crushing version of reality is depicted in TV, movies or even a video game. That was, until now. 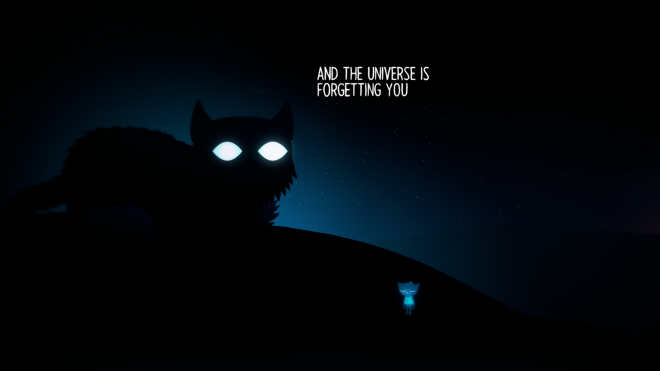 Night in the Woods is a Kickstarter success story from Infinite Fall. Released in 2017, it’s an adventure game following college dropout Mae Borowski who returns home to resume her aimless former life. Only things aren’t the same. Home seems different and her friends have grown and changed. It’s a familiar tale of growing pains and the reality of becoming an adult. But Mae refuses to grow up without a fight and one last ghost hunt in the woods. 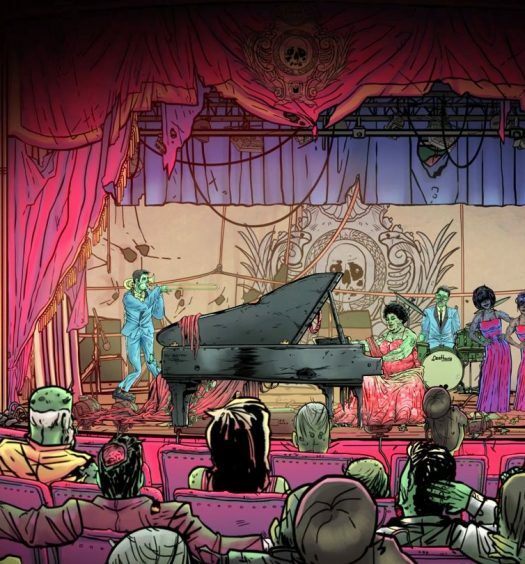 Animalistic – Probably the first thing that will stand out is the game’s art style. At first glance, we could be looking at the latest cartoon franchise on Nick Jr, yet its story is anything but. 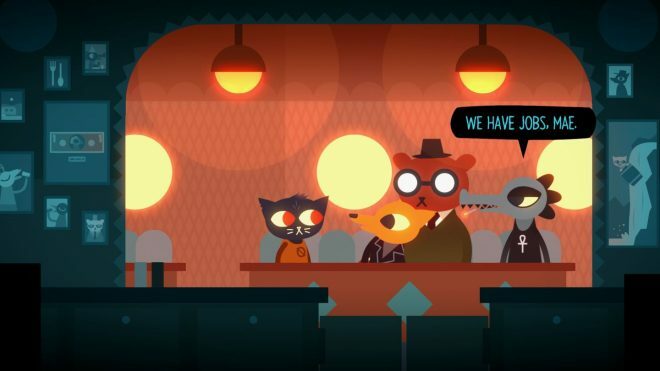 Night in the Woods hides its depth behind bright, cutesy, cartoon graphics. Of the main characters, Mae is a cat, Gregg is a fox and Bea is a crocodile. Why? I don’t know, but I don’t doubt there’s probably some hidden meaning. It’s a clever design decision, not just because screenshots are instantly recognisable, but it also gives rise to some fairly trippy moments. The game is certainly pleasing to the eye, but it’s the tiny details that take it to the next level. The town of Possum Springs is a beautiful yet sad reminder of how poverty affects small towns; the local eatery changing hands every season, for instance, is a poignant observation of how poorly local businesses fare in difficult times. 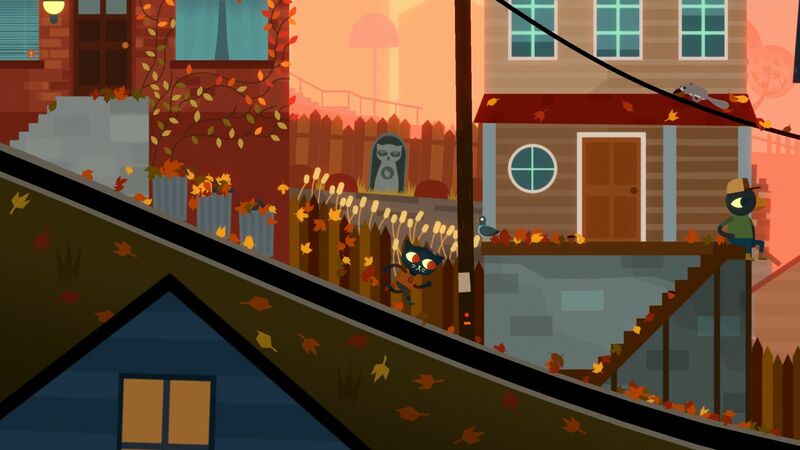 Best Friends – Gameplay-wise, Night in the Woods could best be described as a point and click adventure. That said, there’s not the usual puzzling and, aside from the odd mini-game and a platforming dream section, not a lot of traditional “gaming”. 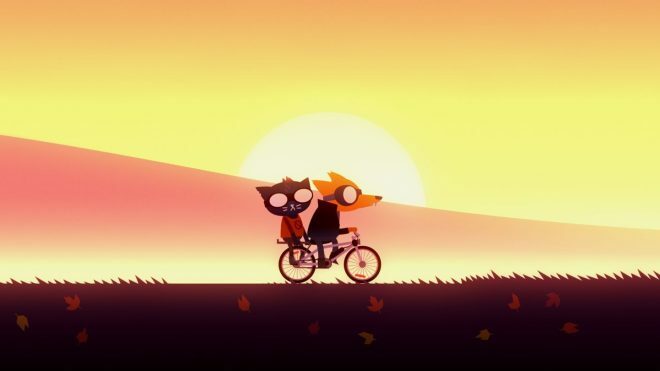 But Night in the Woods isn’t memorable for its gameplay, it’s all about the story and, more importantly, the friendships you make along the way. 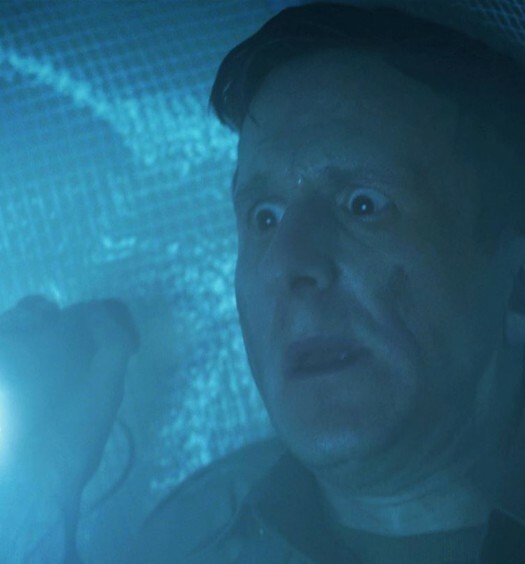 Each of the characters feel like real people, despite their animal-like exterior, with a past and possible future to discover. Choosing who you want to interact with each day will affect the game’s ending (and which achievements you will earn). And sure, you can rush through to find out about the ghost Mae keeps seeing but the most interesting aspect is the characters; main characters, side characters and even the bit-part characters and their very real problems. Everyday life – Mae’s struggle feels all too familiar as she transitions from being everyone’s best friend at school without a care in the world, to a feeling of disconnect as she fast approaches adulthood and the unwanted responsibility that comes with it. Mae is stuck between wanting to grow up like the more mature, worldly and wise Bea or just kicking back with fun-loving yet childish Gregg who himself is worried he will lose his boyfriend unless he starts to grow up. There’s also Mae’s parents who are having difficulties paying the mortgage, Mae’s neighbour Selmers who can’t find a job and Pastor K who’s always butting heads with the local council over her charity work. Night in the Woods deals with issues most people will go through, but who’d have thought someone would make a video game about them? Pacing – Night in the Woods is a decent length for a narrative-driven game. It can be completed in around 12-15 hours with some replay value if you want to get all the achievements and play out every possible interaction. That said, it also felt long. The main game mechanic of getting up every day and heading out to shoot the breeze with each of the various characters soon starts to feel repetitive. While I enjoyed Selmer’s poems, I kind of wish she didn’t have so many. I also get that watching boring TV shows with Dad is what a good daughter should do, but it’s also by its very nature a bit boring. Night in the Woods paints the perfect picture of everyday life, but it’s not necessarily the most exciting one. More interactive novel than game, Night in the Woods won’t be for everyone. However its appeal is still high thanks to a clever blend of light-hearted yet surprisingly mature storytelling and some of the best friends you’ll meet in a video game. It’s also one of the most painfully accurate depictions of working class life. With pressing financial troubles the cast of Night in the Woods don’t have the luxury of dream careers, gap years and discovery vacations. With a sense of melancholy, it’s time to leave childhood behind and grow up fast. Night in the Woods was developed by Infinite Fall and published by Finji on Xbox One. The game released on December 13, 2017, for $19.99. A copy was provided for review purposes.